Spiral Orchestra Pit - Queen's Hall. The home of the performing arts community. 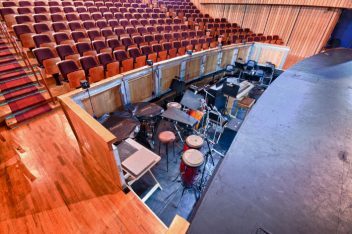 The Hall’s orchestra pit can be set at audience or stage level. 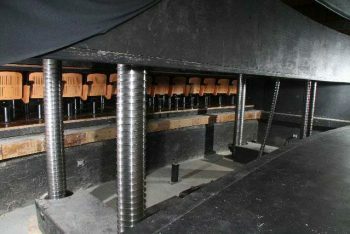 Dance companies may consider a Marley floor (available from Queen’s Hall) so as to enhance the performance. Corporate clients may find the proscenium stage an ideal location for award presentations and speech giving.